Shake ingredients well with cracked ice and strain into a rocks glass over a large ice cube. 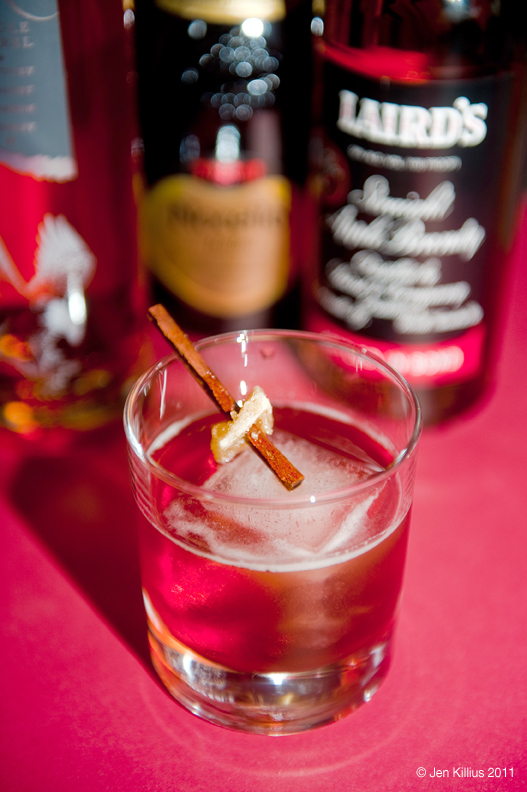 Garnish with candied ginger and cinnamon. NOTES: This one is a slight overhaul of the Apple Walnut cocktail from our Federal Donut drink experiment series. I liked the idea of the drink, but it needed refining. I think this may have done the trick. It still tastes strongly of bourbon and apple brandy, but the grenadine and walnut liqueur do a nice job of rounding off the sharp edges. THIS. THIS was SO GOOD.